Photo 1 of 8. Click to view slideshow. 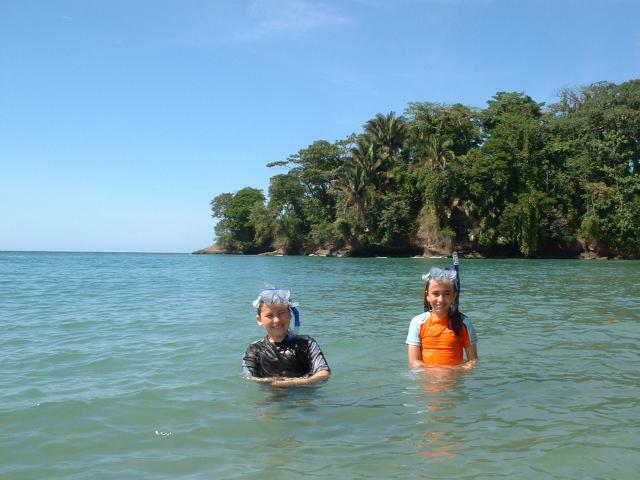 The quiet beach at Punta Uva is known for its calm reef protected water and white sand. This is a great place to bring the kids to swim. 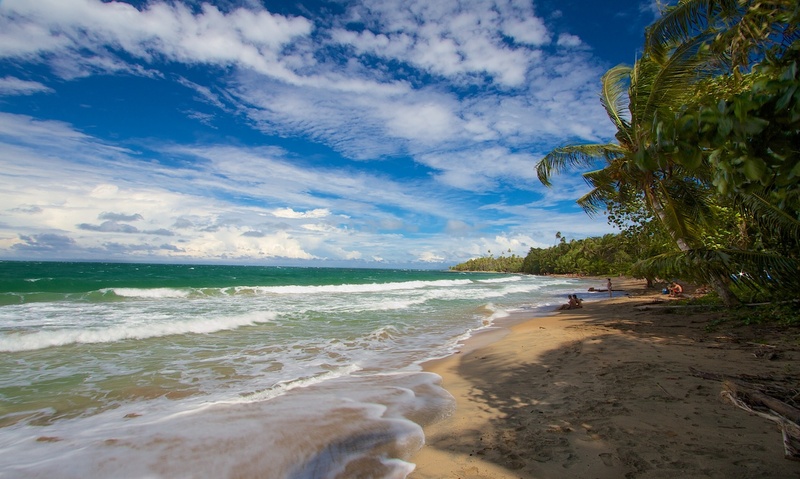 It is 8.5 km (about 5 miles) from downtown Puerto Viejo so appeals to those looking for a quieter spot to spend their vacation. 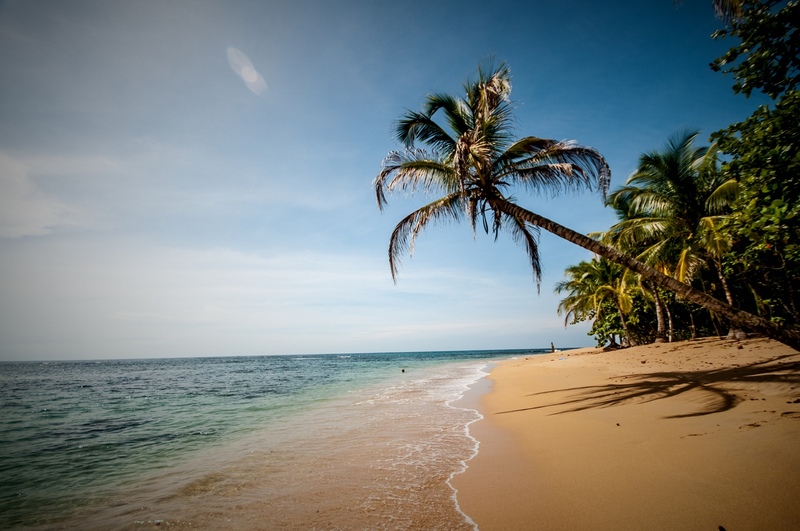 Most of the area is located within the Gandoca-Manzanillo Wildlife Refuge so nature viewing opportunities are abundant with monkies, sloths and many types of birds common sights. The area does have a big variety of hotels and vacation homes, mostly from the midrange up to luxury options. There is a supermarket and a good selection of restaurants. 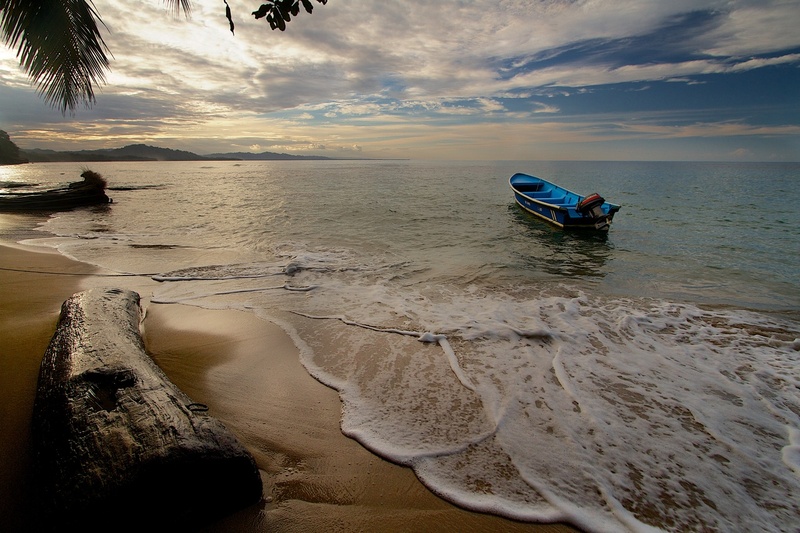 For supplies beyond groceries you'll need to head into Puerto Viejo. Transport options between Punta Uva and Puerto Viejo include the local bus (running hourly or less during daylight hours), bicycle (most hotels rent bicycles), taxi and car. Check the local transport page for more details. Quality lodging in 4 comfortable and luxurious bungalows nestled in the heart of the tropical forest, just a few steps from the beach of Punta Uva. Breakfast included. Private porch with hammock, ceiling fan, hot water, all screened windows, mini bar, safe, alarm system, private parking and free WIFI. A fully equipped modern villa nestled in lush jungle 15 mins from Punta Uva Beach. Perched on a secluded 2-acre lot and surrounded by infinite pristine nature, LPM is a pool getaway of palm trees and endless Instagrams tucked away in the Gandoca Manzanillo wildlife reserve. There are two bedrooms, two bathrooms, living room, terrace, kitchen and more. Hostel and lodge offering dormitories, rooms with shared bath or cabins with private bath. Beds with mosquito nets, hot showers. Shared kitchen, dining room, hammocks, wifi, bike and snorkel rental, parking. 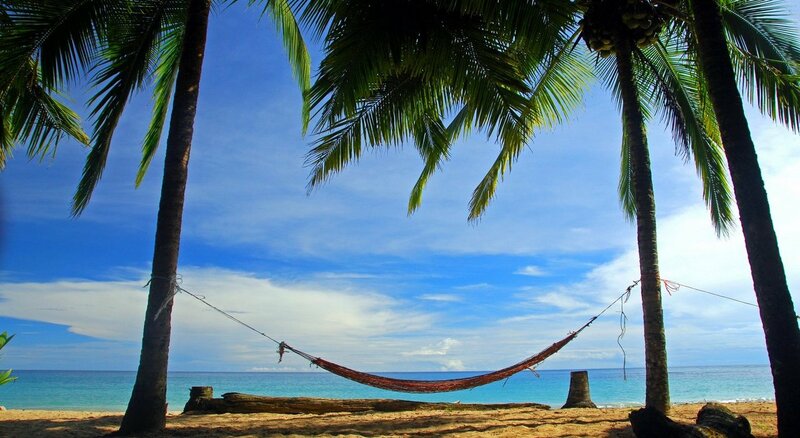 5 min walking from Punta Uva beach, set in a tropical rainforest garden. Located within a tropical garden, are these four cabins, with ample terraces, equipped with hot water, fan, refrigerator, etc. There is a Ranchito in front of the beach with kitchen and dining room for use of guests. Just 250 meters from beautiful Punta Uva Beach, riverside on Rio Ernesto, Pachamama is nestled in the heart of the jungle. Accommodation options are 3 comfortable Villas (for 2 up to 6 people) and 2 jungle Bungalows (up 3 people). All the accommodations are with ceiling fan, mosquito net, hot water, fully equipped kitchen, safe and private terrace with hammocks and adirondacks. Free Services included: WiFi, breakfast served on your private terrace, bicycles, private parking. This newly-renovated Caribbean house right on the beach in Punta Uva has private beach access. The house has 2 bedrooms with air conditioning, 2 full bathrooms, kitchen with new appliances, hot water, screened-in breezy deck overlooking the ocean, beautiful gardens, wi-fi, and numerous other amenities. Sleeps up to 4 people. Caribbean style 3 bedroom house on a private beachfront estate. 3 bedrooms, 3 bathrooms Caribbean home on raised stilts with an open kitchen and 2 spacious terraces, steps from the beach. House for 6 people. This house is located on the hills of Punta Uva in a 5000 m2 property where you can find the Rainforest. Home 1 - Casa Anumi where the owners live. Home 2 - Casa Mila for up to 6 guests. Each property has it's own space and privacy so you don't have to worry about the neighbors. But please have on mind that this is a relaxing environment where we expect you can enjoy nature as its best, for this this house is recommended only for families or for a small group which really wants to relax and enjoy the peaceful environment without noise or any kind of party. A 4x4 car is recommended if you stay here. No Wifi. Wood and block house located on the main road from Puerto Viejo to Manzanillo and 200 meters from the Punta Uva Beach. It has 3 beds and 2 bathrooms giving a maximum capacity of 4 persons. It's well suited to families. 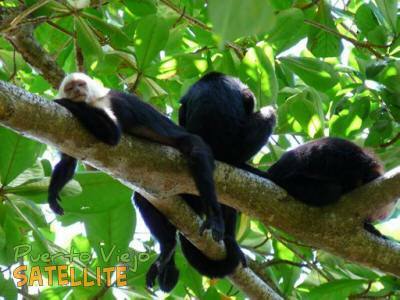 Three Monkeys House is a 3 bedroom house located in a lush jungle garden setting near Punta Uva. Wildlife viewing opportunities abound right from your deck! For nature lovers only. 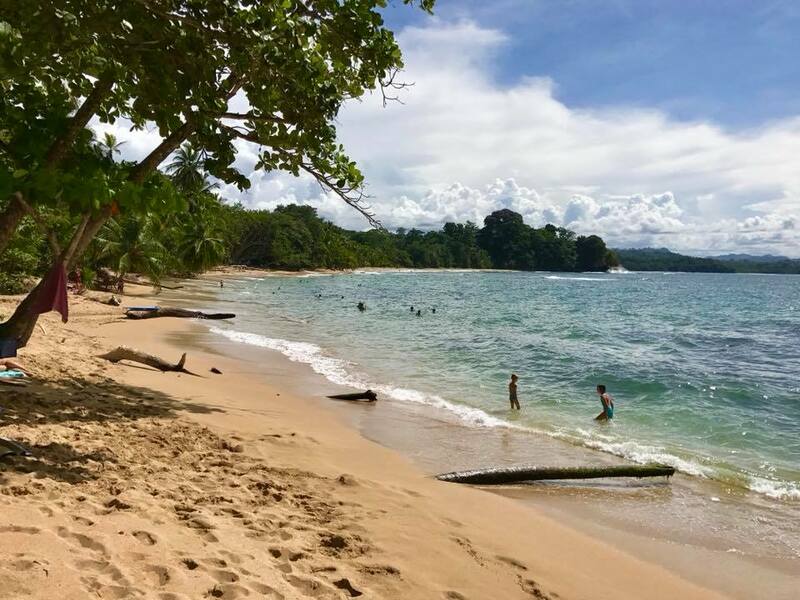 Beachfront property located in the heart of the Gandoca-Manzanillo Wildlife Refuge with 600 ft. frontage on Punta Uva beach with palms, golden sand and safe swimming. 10 acres landscaped with a botanical garden. Property is inhabited by animals of the rainforest: howler monkeys, sloths, iguanas, parrots, toucans, hummingbirds to name just a few. Fully furnished 1 and 2 bedroom houses, tiled shower with hot water, equipped kitchen, living room and a large wraparound veranda with hammocks. Three affordable rental houses a 5 minute walk from Punta Uva beach. Casa de Monos is the larger house while Casita de Toucans and Casita de Sloths are the smaller houses. All have fully equipped kitchens, living rooms, wifi and spacious porches. Set in a large property with gardens and the owners on the property. This beautiful house is located in the jungle but only 5 min away from the ocean. 3 spacious bedrooms with 3.5 bathrooms, fully equipped open kitchen in a luminous living room. No Wifi. House for 9 people. Located at the main road in Punta Uva (road from Puerto Viejo to Manzanillo). Interior: big room (20m²) with double bed, separate bathroom (16 m²) with hot water, refrigerator and shelves, stunning view from the outdoor kitchen (16 m²) and the balcony around the cabina. Parking. Just a few steps away from the fantastic beach of Punta Uva, this house has 2 bedrooms one with 1 king size bed and the other with 2 single beds, 1 bathroom, fully equipped kitchen. Please note that the bedrooms are next to each other, there is a dividing wall, without a door, this means there is not much privacy between the bedrooms. Villa Coralina 1 and 2 are next to each other. AC and WiFi. House for 4 people. 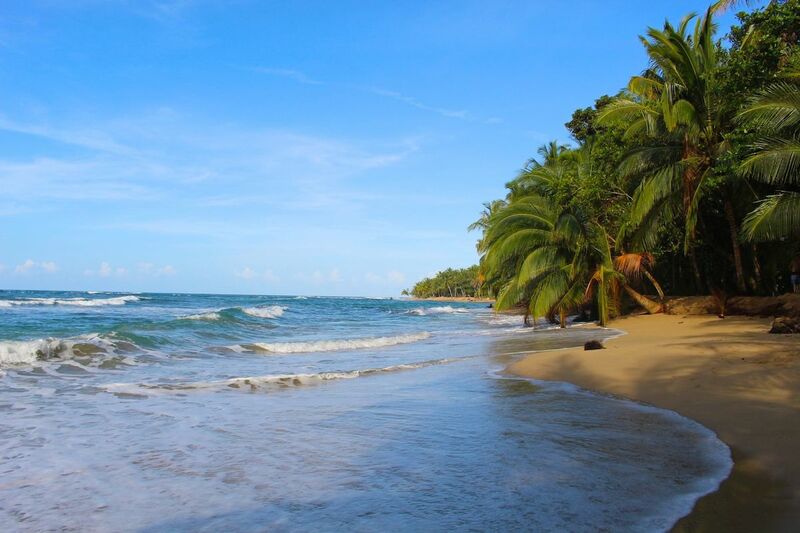 Just a few steps away from the fantastic beach of Punta Uva you are going to find a private property with 6 villas. Each villa has 2 bedrooms, one with 1 double bed and the other with 2 single beds, 1 bathroom. Please note that the bedrooms are next to each other, there is a dividing wall, without a door, this means there is not much privacy between the bedrooms. House for 4 people. 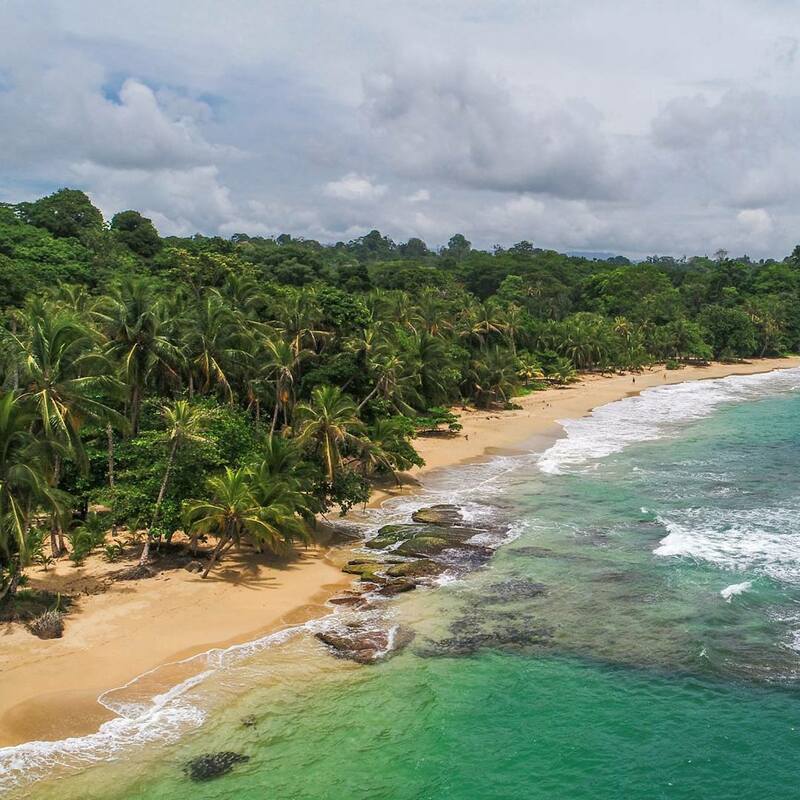 Villa Toucan is a private 2 bedroom oceanview and rainforest villa on the edge of the virgin rainforest where guests are immersed in an intense experience of wildlife and energy all in the comforts of tropical accommodations.